If you have been using Seretide for at least three months, Superdrug Online Doctor provides an easy option for getting your repeat prescription inhaler without having to visit your GP. 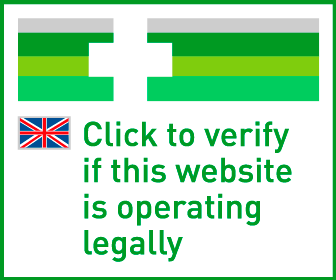 When you place your order we will ask you a few questions about your asthma. Our doctor will use your answers to confirm whether it is safe for you to continue treatment with Seretide. Prescription and delivery are included. 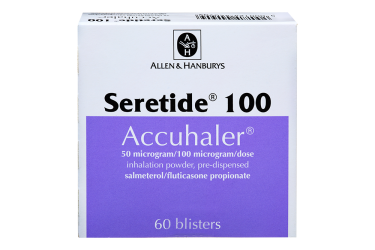 Seretide accuhaler is an asthma inhaler which contains two medicines. One ingredient is the long-acting bronchodilator salmeterol. Salmeterol keeps your airways open and prevents asthma symptoms. The second medicine is fluticasone. Fluticasone is a corticosteroid, which reduces inflammation and the swelling in your airways. Seretide is a purple inhaler and it needs to be used every day. The purple inhaler contains two ingredients which prevent asthma attacks and symptoms. The two medicines are Salmeterol and Fluticasone. Salmeterol is often referred to as a bronchodilator, because it dilates your airways. It is a long-acting medicine and its effect lasts for approximately twelve hours. It is used to prevent asthma and is not suitable as a treatment for acute symptoms. Fluticasone belongs to a group of medicines called corticosteroids. It relieves asthma by reducing the swelling in your airways and the irritation in your lungs. Fluticasone propionate is also used to treat allergic rhinitis (nasal congestion caused by an allergic reaction). In combination, the two ingredients in your Seretide inhaler are very effective at preventing asthma symptoms and dangerous asthma attacks. In order to work, Seretide has to be used on a daily basis. The purple inhaler does not help control acute symptoms, so you need to keep a blue reliever inhaler at hand in case you experience an attack. Seretide comes in an inhaler called an accuhaler. It contains the medicine in form of a very fine powder. The Seretide accuhaler is easy to use, as you do not need pump the spray as you breathe in. The accuhaler contains individual blisters, which contain one dose each. There is a counter on the side of your inhaler which tells you if your medicine is running low. It shows how many blisters are left. How Do I Use A Seretide Inhaler? 1. Open the Seretide inhaler and hold its outer case in one hand. Use the thumb of your other hand to push the thumbgrip as far away from you as you can to open a small hole in the mouthpiece. You will hear a clicking noise. 2. Hold the inhaler with the mouthpiece pointing towards you and slide the lever as far back as possible. You will hear a click as one dose of the spray enters the mouthpiece. 3. Hold the Seretide accuhaler away from you and breathe out as far as you can comfortably do so. Make sure you do not breathe into your accuhaler. 4.Take the mouthpiece between your lips and breathe in through your mouth. Take a steady and deep breath. Hold your breath for ten seconds after breathing in (or as long as comfortable), then breathe out slowly. 5. Rinse your mouth with plenty of water and spit it out - this helps reduce side effects such as a hoarse voice and oral thrush. Slide the thumb-grip back towards you to close the accuhaler. You will hear a click. How often do I need to use Seretide? Your doctor will advise you on how often you need to use your Seretide inhaler. The usual dosage consists of one inhalation taken twice per day. You should inhale your medication in the morning and the evening, ideally at the same time every day. If your symptoms improve, your doctor may recommend that you reduce the dosage to once a day. Do not change the frequency of inhalations without your doctor’s recommendation. If your symptoms get worse you need to speak to your doctor who will check whether your medication needs to be adjusted. If you forget to take a dose just continue your treatment taking the next dose at the correct time. Do not take a double dose to compensate for the one you have missed. Can Seretide Cause Side Effects? Seretide can sometimes cause side effects. The most common side effect is a headache. More than one in ten Seretide users experience headaches. Because Seretide contains steroids it can sometimes cause ‘central serous chorioretinopathy – a rare and serious eye condition. Get medical attention as soon as possible if you get any sight problems on Seretide. For a full list of all the side effects that Seretide can cause, please read the patient leaflet supplied with your inhaler. Do not use a Seretide inhaler if you are allergic to salmeterol xinafoate, fluticasone propionate or lactose monohydrate. If you are pregnant or breastfeeding, ask your doctor whether you can continue using Seretide.